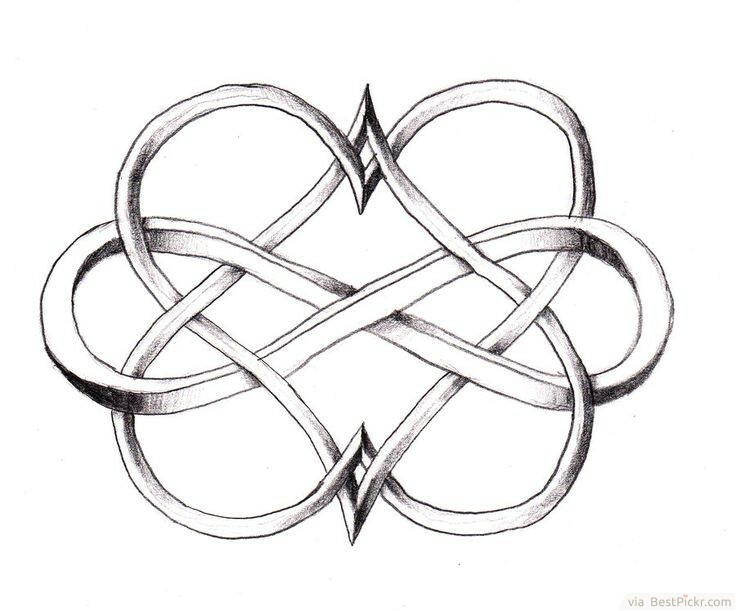 Beautiful, unique and simple design on the back of neck for couples, with infinite loop of two hearts intertwining each other, symbolizing ever lasting eternal love. 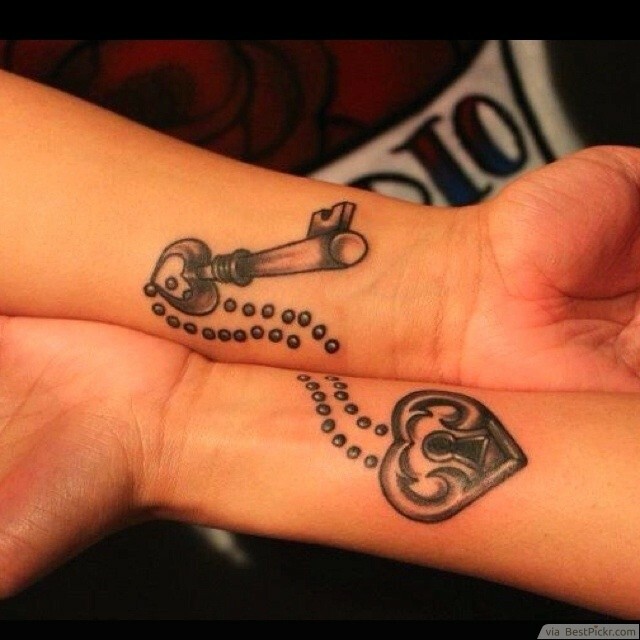 Cute and romantic design with key ring connecting the key on his forearm to the lock on her inner arm, like two souls connected to each other spiritual half. 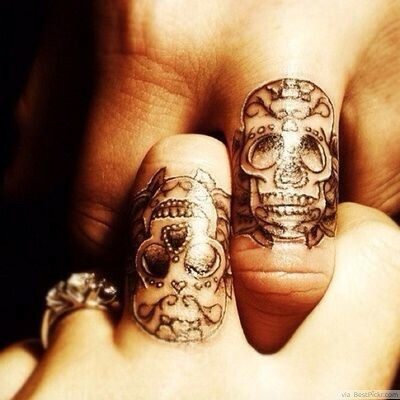 Both in charming shapes of a lover's heart, with photo realistic shading in black. 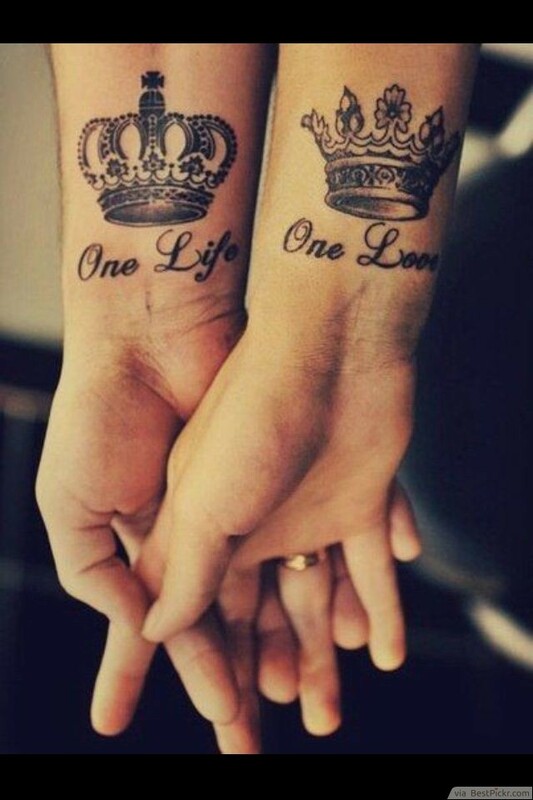 One of the world's best tattoo designs on inner wrists for him and her, with beautiful words written below: "One Life - One Love" - ideal as soulmate idea for lovers, looks awesome and cool when couple holds hands. Man get his girlfriend’s fingerprint and woman gets her boyfriend’s fingerprint. 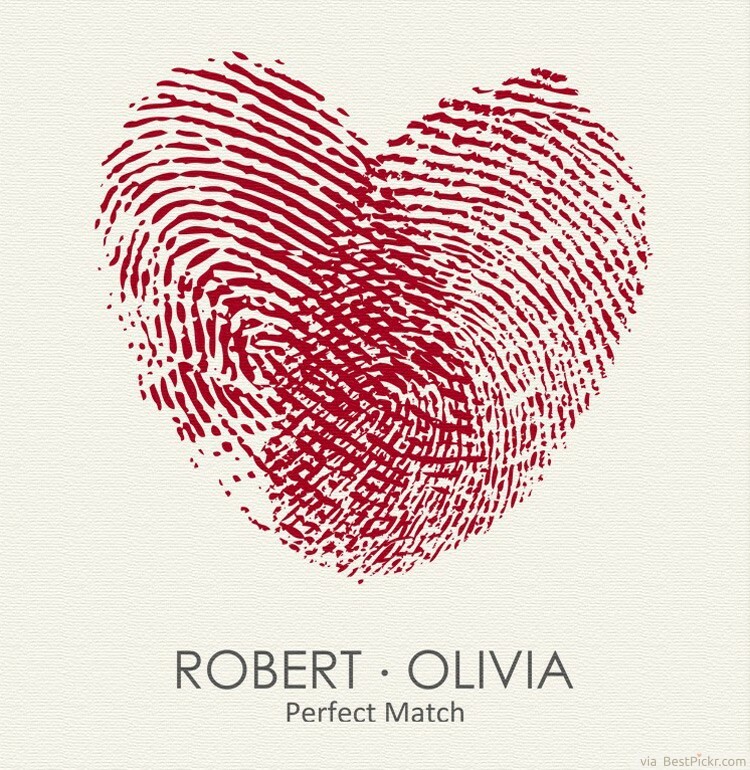 Combine both fingerprints together into one-of-a-kind matching love heart, personalized for the couple in love. This way you get the unique design that no one else has in the world! 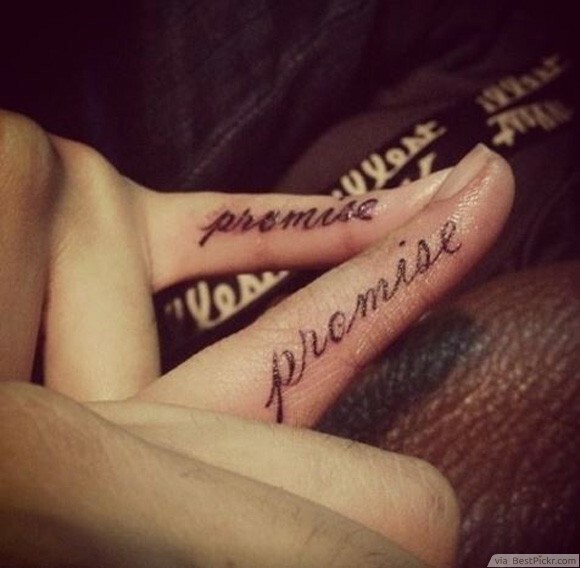 This beautiful and romantic cursive tattoo font example is the perfect design for lovers. 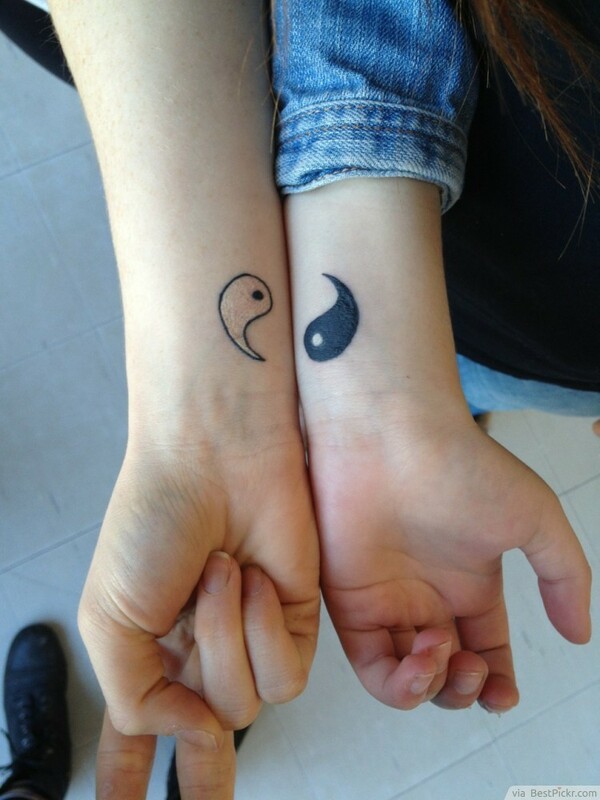 Simple, classic and elegant in black ink. 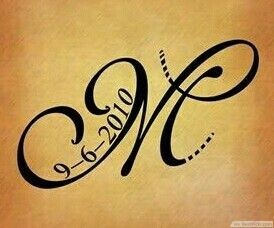 Can be substituted with couple's initials. 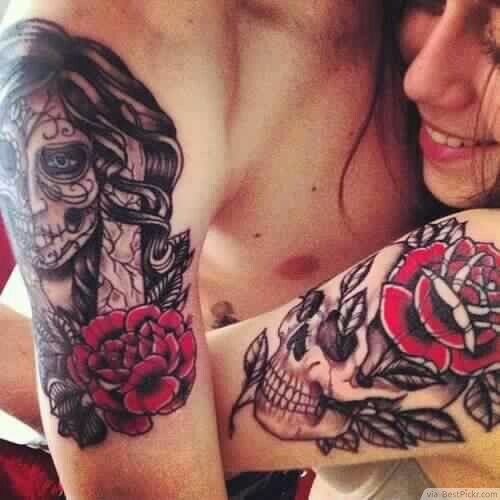 Love this beautiful dark Gothic tattoo art of shaded black skulls with red roses in matching style for him and her, on upper arm. 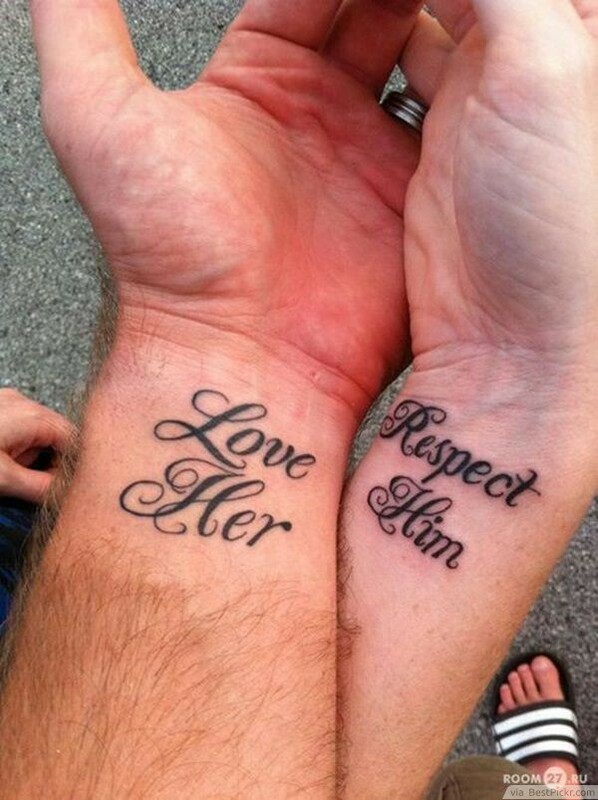 Best of all, if the couple's relationship doesn't work out, both singles can keep the ink without it looking strange or weird. 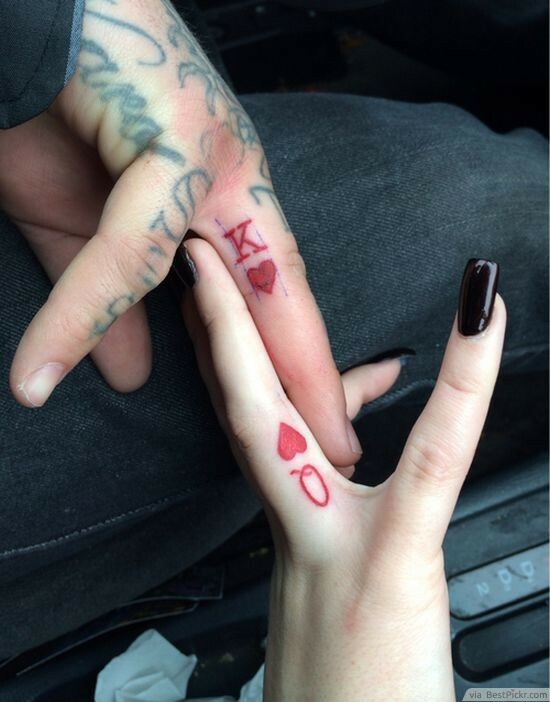 Very romantic and meaningful black ink line art couple finger tattoos, symbolizing fidelity, honestly and loyalty. 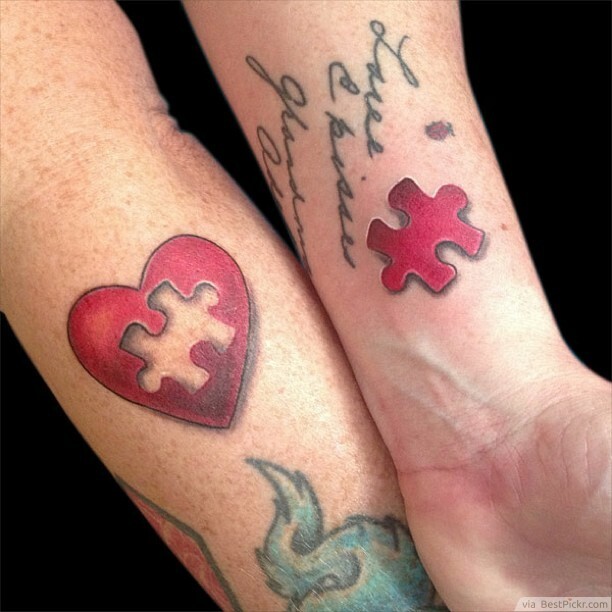 Love completes each other in this creative piece of puzzle inside a heart shape color tattoo. 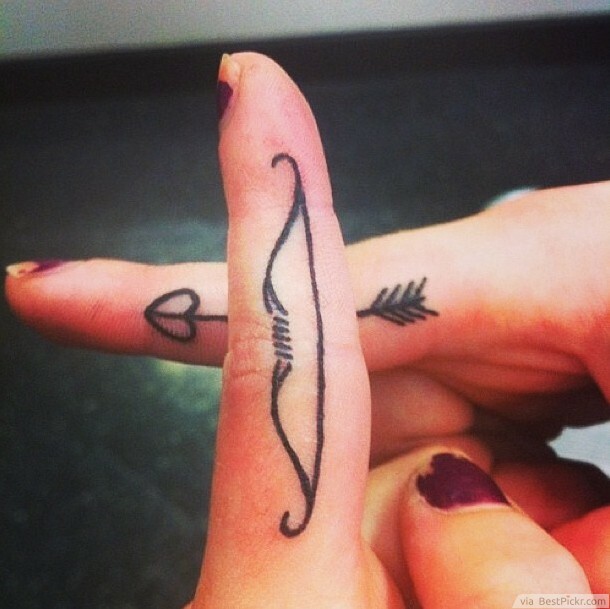 Super cute & cool artwork idea. 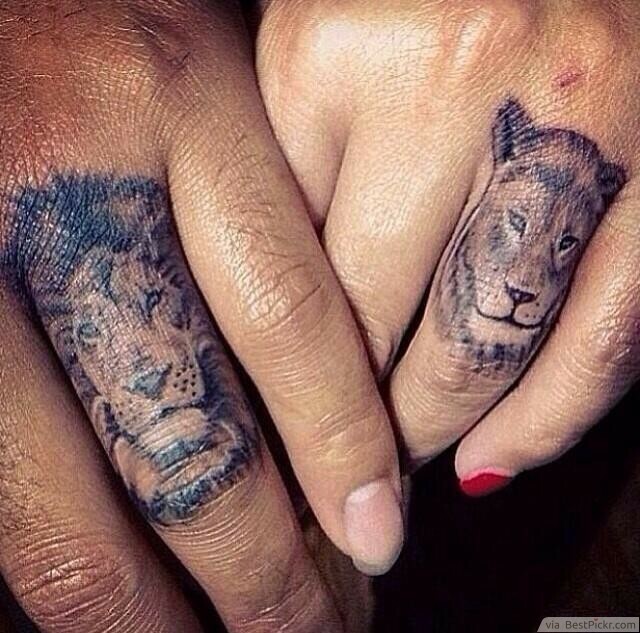 Her's lion king with his lioness to replace wedding rings! 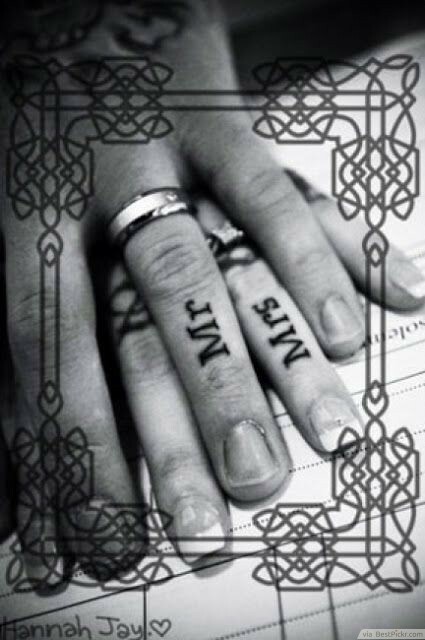 Perfect for married couples, the coolest play card symbols matching tattoo ideas I've seen. 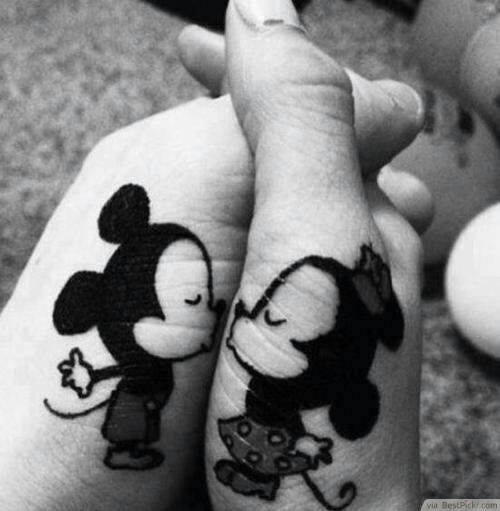 For cartoon fanatics, this is a great design to ink on your palms, looks so cute when you hold each other's hands. "Be the one to guide me. But never hold me down". 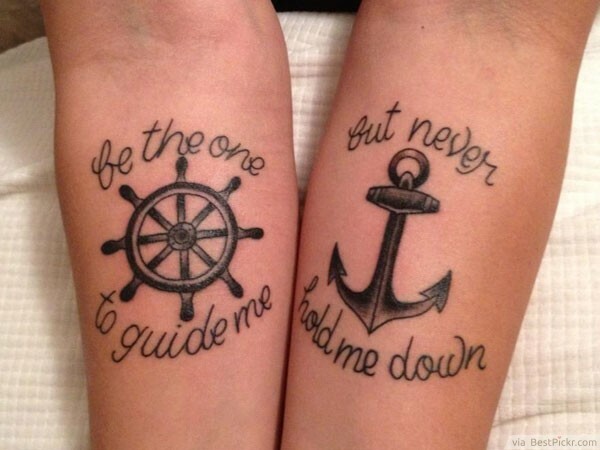 A meaningful sailor's tattoo idea for people in love on forearms. With anniversary date and two words "Always Forever" for married people. 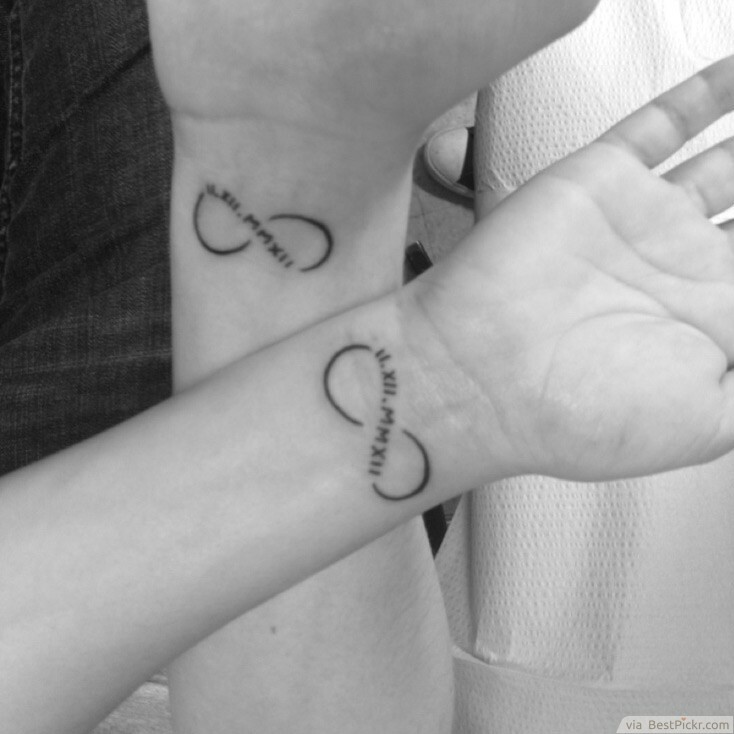 Perfect cursive tattoo fonts for wrists, so beautiful and adorable! Not for the faint of heart. 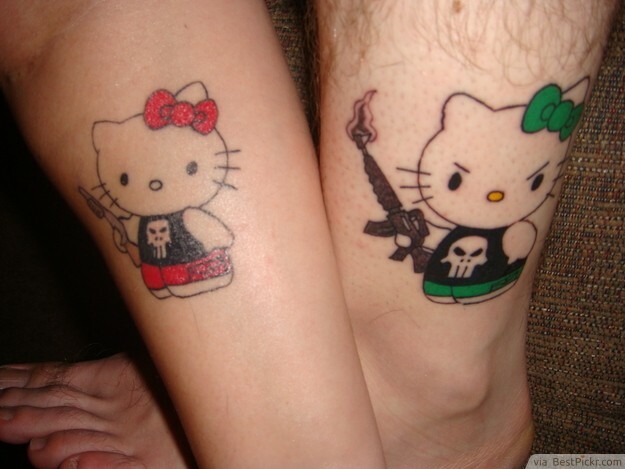 But totally adorable and wicked idea, more so for bikers, matching leather jackets in gangster fashion style. Such a badass design! 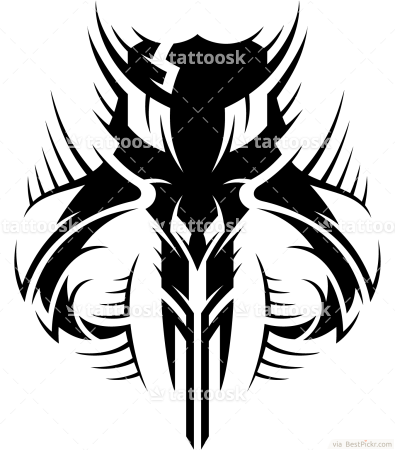 I love this tiny minimalist black ink design. 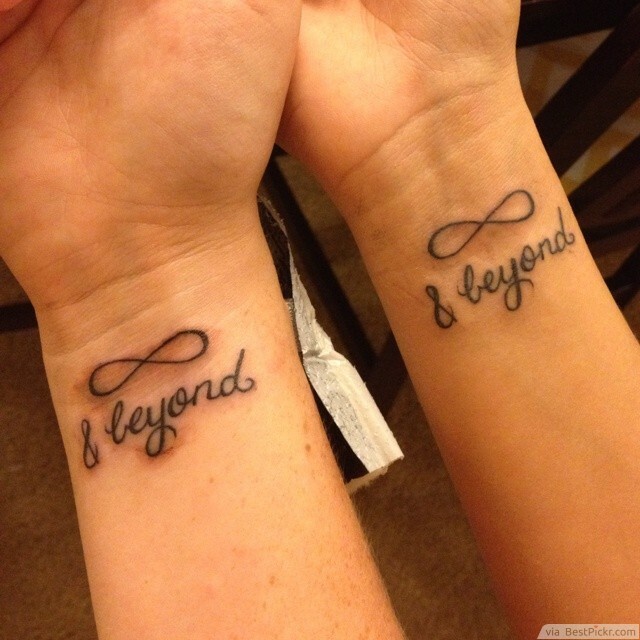 It's also a great idea for twin sisters matching tattoo. 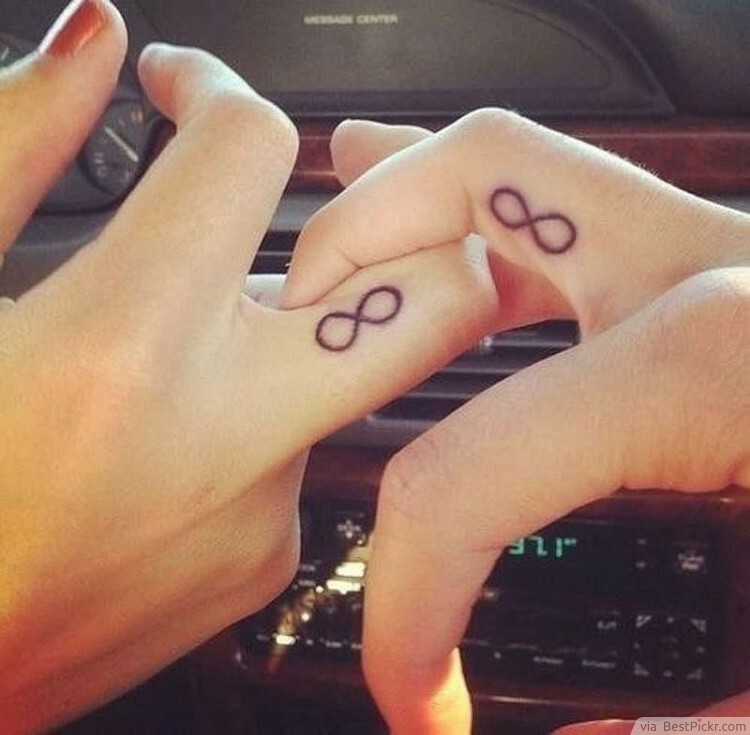 Perfect infinity symbol match for married couples on wrists with wedding anniversary date along the infinite loop lines. Also great for your best friend, sister or someone very close to your heart to mean eternal love. 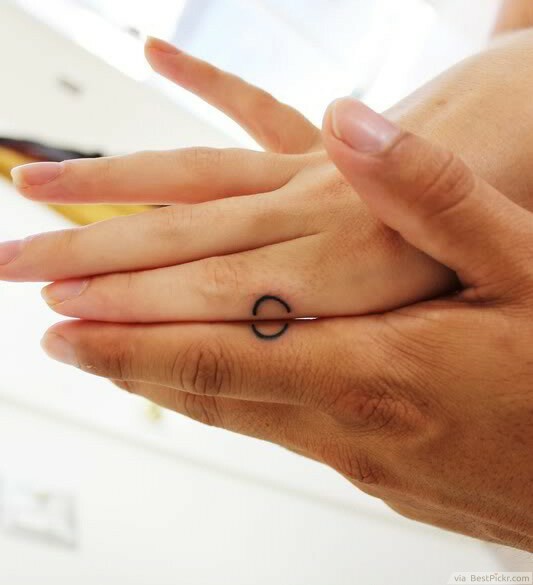 This classic infinity design line art tattoo is so small you can ink them almost anywhere on your body without it being too obvious, good for situation like when you can show tattoos at work for professional reasons. 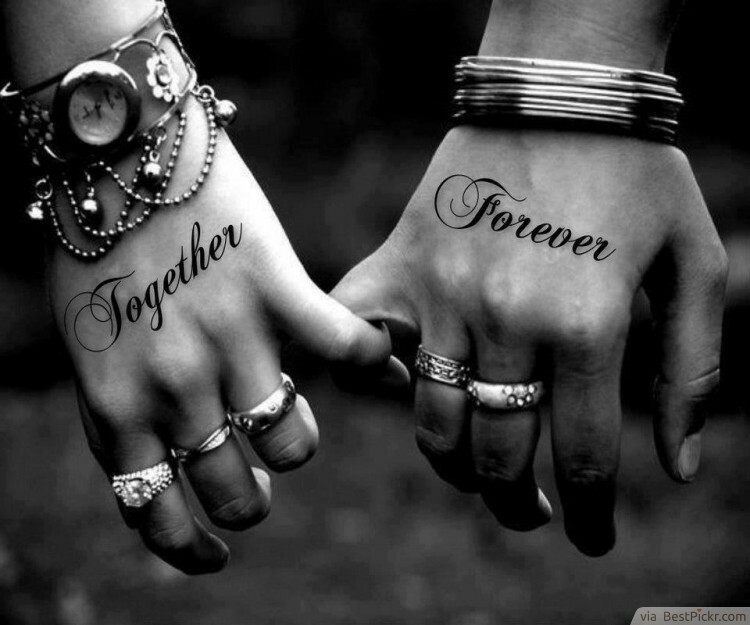 Each hold the other's half to complete a circle of love. 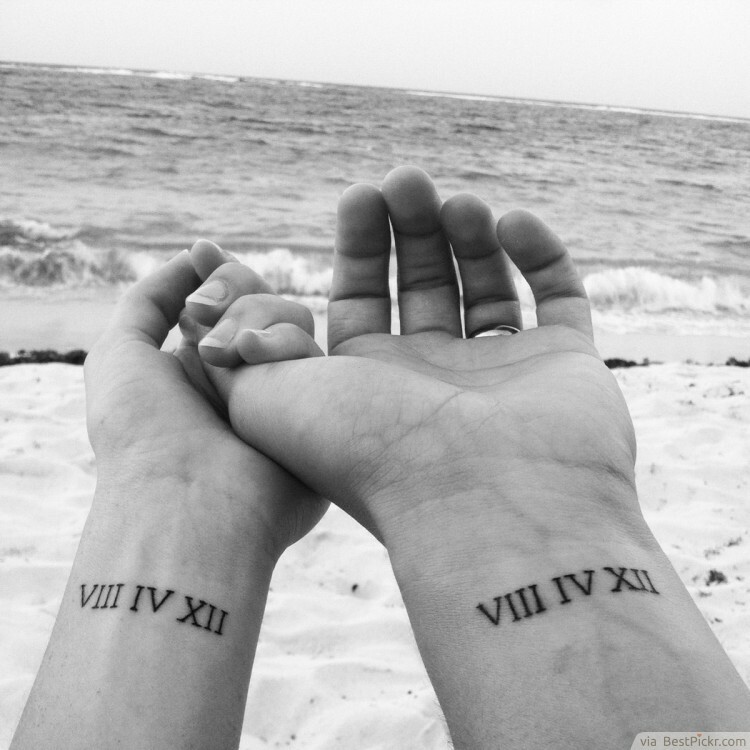 Another awesome idea for married couples on arms, very simple and timeless. 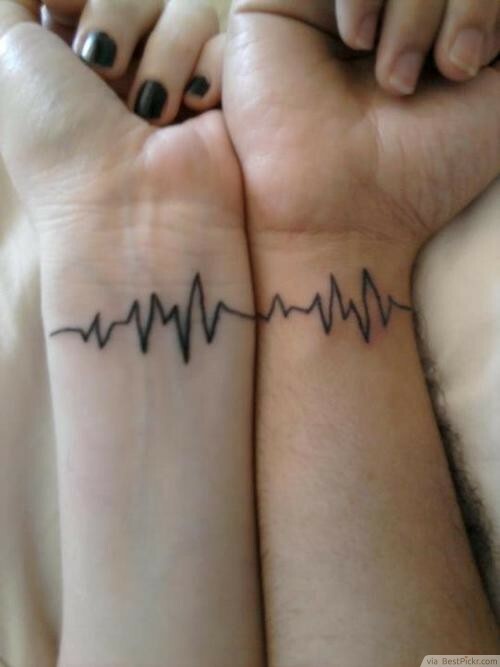 Creative and memorable ultrasound heartbeats line art tattoo for husband and wife to celebrate special events like the first baby arrival. 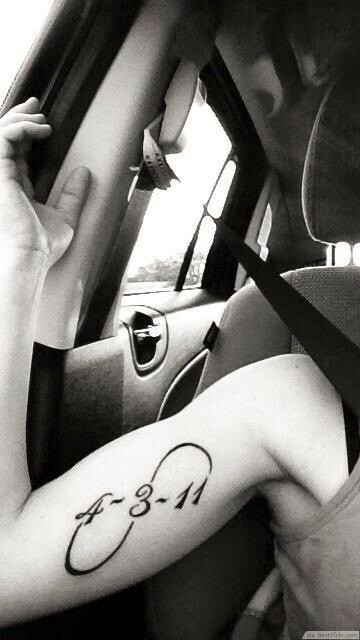 This ink idea will be kept in good memories forever. 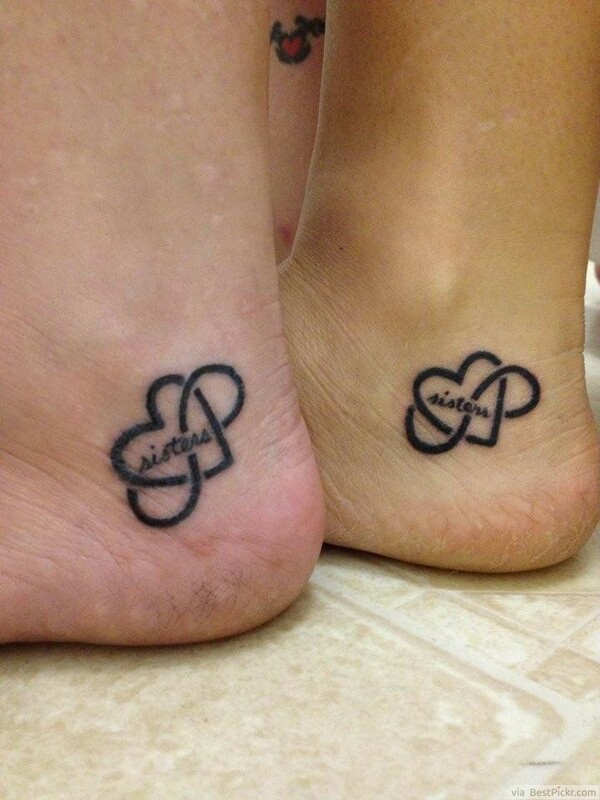 So totally adorable tattoo for girls, can be perfect for couples, sisters, twins or simply best friends. May look like a joke but this is absolutely hilariously cute to show your love and appreciation with such cute cartoon cat artworks. Or it can just be your birthday, in memory of the dead, or any other special event that holds deep meaning in your life. I love this idea for couples in love who got married or as a Silver anniversary gift for both. 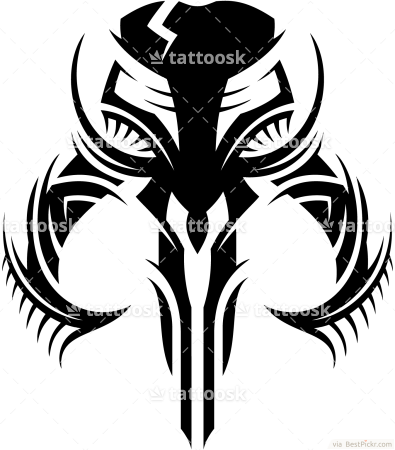 For geeky and super nerdy fans of Star Wars this Mythosaur Skull tattoo of the Mandalorian Army design will be a great pair of black inks for him and her.